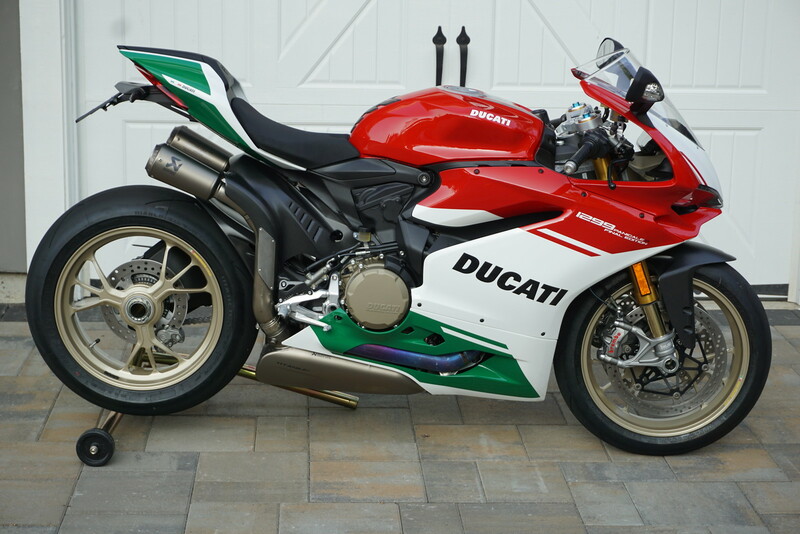 This bike us gorgeous when you get rid if the red wheels. Wheels are part of it, but really waiting for the full race exhaust. I've seen pics and it looks (and hopefully sounds) epic! full race exhaust. I've seen pics and it looks (and hopefully sounds) epic! Anyone got the race exhaust yet? I was told delivery from early feb if I put a deposit down in December but I’m waiting to see one first as no one can confirm if it comes with the belly pan. From the test pics I’ve seen on Instagram I think it does but it would be good to know for certain. I own number 56 and took delivery August 18th. She’s undergone a few mods, undergoing a few more at present All continues well she’ll be on display at COTA with Bellissimoto. On my IG @pnw_ducrider i have a few pictures of the FE with the race akra installed. It does exist, the ship date keeps getting pushed back and the price keeps going up.